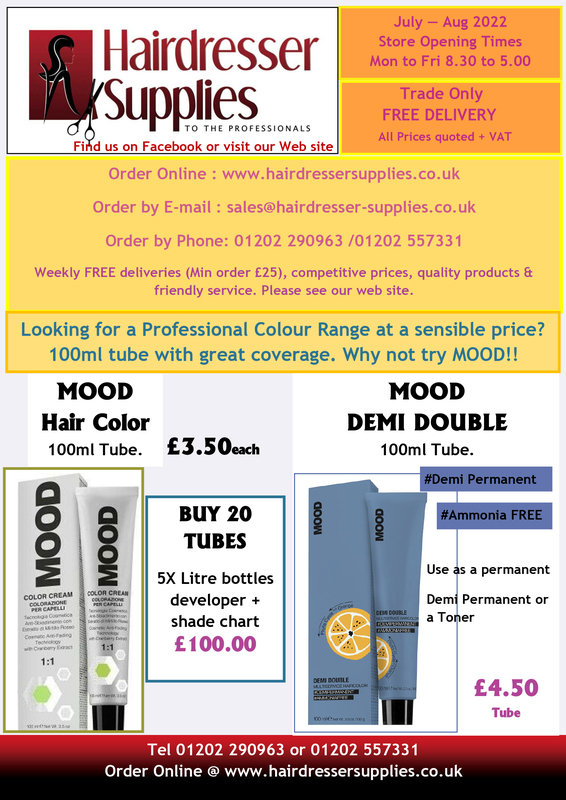 The term “Hairdresser Supplies Ltd” or “us” or “we” refers to the owner of the website whose registered office is 158 Richmond Park Road, Bournemouth, Dorset, BH8 8TW. The term “you” refers to the user or viewer of our website. You may not create a link to this website from another website or document without Hairdresser Supplies Ltd’s prior written consent.